We are now taking bookings for spring 2016 beginners beekeeping courses. Places are limited and are already filling up fast. 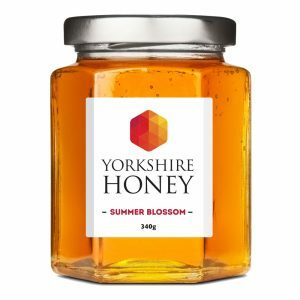 They make excellent birthday or Christmas presents for anyone who has an interest in beekeeping or why not treat yourself get in touch to discuss your requirements or to book . ← nearly the end of another season !! My sister and I have just attended the Beekeeping course. What a fabulous day. David, the host, took us through the life cycle and tasks of specific bees, then took us to see some of his hives (both on and off the farm) . Before we did this though, we were served a delicious selection of homemade cakes, and scones.. After a sample or two, we kitted up (and his beekeeper outfits come in all sizes) and set off. After inspecting a number of farm hives, with David explaining how to manage the hives, we had lunch. Superb. (I nearly needed a bigger outfit afterwards). We then decamped a couple of miles and each of us had hands on experience examining the trays, spotting a queen bee, seeing new bees hatching, looking at drones etc and at how to spot if a swarm was imminemt. The day ended with honey sampling followed by a free jar of your favourite honey, Thoroughly recommended. Just come back from a day bee keeping course with David. 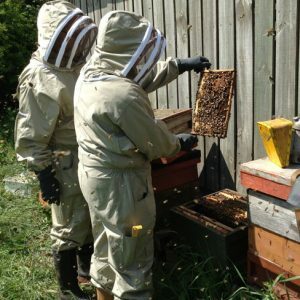 The course was really good as I am hoping to start my own hive. The day started with some information and advice on bee keeping along with plenary of tea and cake, then some hands on with hives on the farm. After a very nice lunch we then went off off the farm for more hands on with the hives and given some in site of what to look for when starting out keeping bees. Great day and I would recommend it to anyone thinking of starting bee keeping.